What is a myocardial perfusion scan? Myocardial perfusion is an imaging test. It's also called a nuclear stress test. It is done to show how well blood flows through the heart muscle. It also shows how well the heart muscle is pumping. For example, after a heart attack, your doctor may order this test to find areas of damaged heart muscle. This test may be done during rest and while you exercise. A myocardial perfusion scan uses a tiny amount of a radioactive substance, called a radioactive tracer. The tracer travels through the bloodstream and healthy heart muscle absorbs it. On the scan, the areas where tracer has been absorbed look different from the areas that do not absorb it. Areas that are damaged or don't have good blood flow do not absorb the tracer. Why might I need a resting myocardial perfusion scan? There may be other reasons for your healthcare provider to order a resting myocardial perfusion scan. What are the risks of a resting myocardial perfusion scan? Except for the needle used to put in the IV, this test does not cause pain. The injection of the radioactive tracer may cause some slight discomfort. Allergic reactions to the tracer are rare. You may want to ask your healthcare provider about the amount of radiation used during the procedure and the risks related to your particular situation. There may be other risks depending on your specific medical condition. Be sure your healthcare provider knows about all of your medical conditions. Make a list of questions you have about the procedure. Be sure to discuss these questions and any concerns with your healthcare provider before the test. Bring a family member or friend to the appointment to help you remember your questions and concerns. How do I get ready for a resting myocardial perfusion scan? Your healthcare provider will explain the procedure to you and you can ask questions. You will be asked to sign a consent form that gives your permission to do the test. Read the form carefully and ask questions if anything is not clear. Tell your healthcare provider if you are allergic to or sensitive to medicines, local anesthesia, contrast dyes, iodine, tape, or latex. You may need to fast (not eat or drink) before the procedure. Your healthcare provider will give you instructions as to how long to withhold food or liquids. Do not eat or drink anything that contains caffeine for at least 48 hours before the procedure. Also, avoid any prescription and over-the-counter medicines that contain caffeine. Tell your healthcare provider of all medicines (prescription and over-the-counter), vitamins, herbs, and supplements that you take. If you are pregnant or think you may be, tell your healthcare provider. Radiation exposure during pregnancy may lead to birth defects. If you are breastfeeding, tell your healthcare provider. Radioactive tracer can contaminate breast milk. Tell your healthcare provider if you have a pacemaker or an implantable cardioverter defibrillator. Based on your medical condition, your healthcare provider may request other specific preparation. What happens during a resting myocardial perfusion scan? You may have a resting myocardial perfusion scan on an outpatient basis or as part of your stay in a hospital. Procedures may vary depending on your condition and your healthcare providers practice. You will be asked to remove any jewelry or other objects that may interfere with the procedure. You will be asked to remove your clothing and will be given a gown to wear. An intravenous (IV) line will be started in your hand or arm. You will be connected to an ECG machine with leads that stick to your skin and a blood pressure cuff will be placed on your arm. You will lie flat on a table in the procedure room. The radioactive tracer will be injected into the IV in your hand or arm. After the tracers has circulated through your body (10 to 60 minutes depending on the type of radioactive tracer being used), the scanner will take pictures of your heart. In this special kind of imaging test, called SPECT (single photon emission computed tomography), the scanner rotates around you as it takes pictures. The table slides into the hole of the scanner, which is a large, donut-shaped machine. You will be lying flat on a table while the images of your heart are made. Your arms will be on a pillow above your head. You will need to lie very still while the images are being taken, as movement can affect the quality of the images. If you have any symptoms, such as dizziness, chest pain, extreme shortness of breath, or severe fatigue, at any point during the procedure, let the healthcare provider know. After the scan is done, the IV line will be removed, and you will be allowed to leave, unless your healthcare provider tells you differently. What happens after a resting myocardial perfusion scan? Move slowly when getting up from the scanner table to avoid any dizziness or lightheadedness from lying flat for the length of the procedure. Drink plenty of fluids and empty your bladder often for 24 to 48 hours after the test. This helps flush the remaining radioactive tracer from your body. The IV site will be checked for any signs of redness or swelling. If you notice any pain, redness, or swelling at the IV site after you return home, tell your healthcare provider. This may be a sign of infection or other type of reaction. Your healthcare provider may give your other instructions after the procedure, depending on your particular situation. 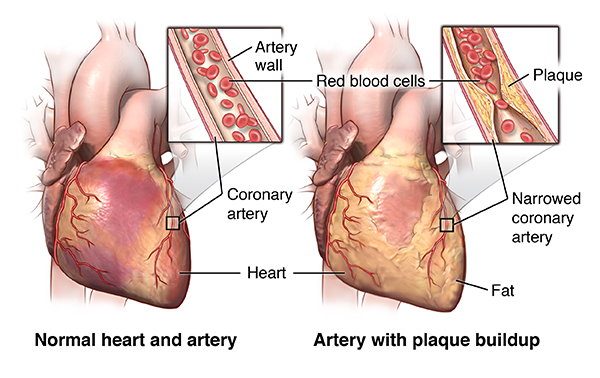 If the perfusion scan shows you may have a serious or life threatening cardiac disease, your healthcare provider may talk to you about a same-day cardiovascular procedure.